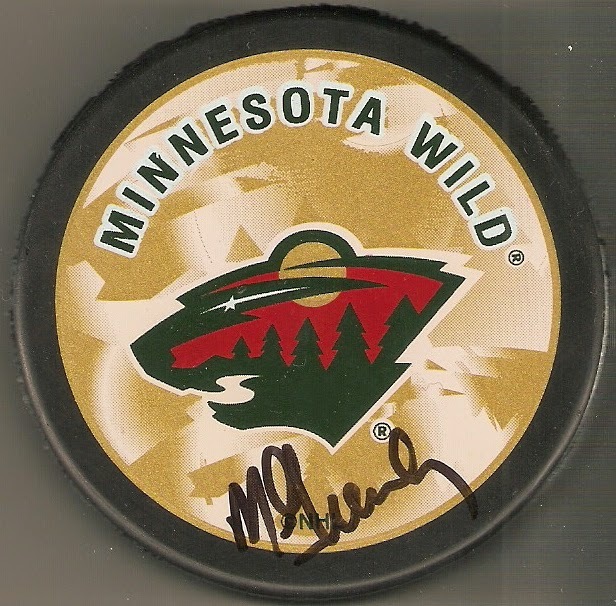 These items all come from this past June, when I had a great opportunity to meet some members of the Minnesota Wild organization, as the Minnesota Wild/Wells Fargo Road Tour stopped in Moorhead, MN. 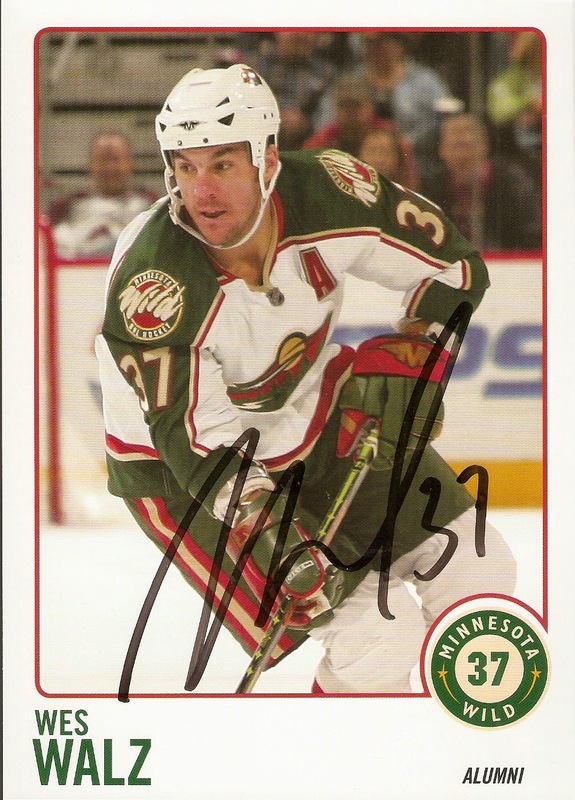 Matt Cooke, along with Fox Sports North analyst Wes Walz and FSN broadcaster Mike Greenlay were on hand to sign autographs at the Moorhead Youth Hockey Arena. 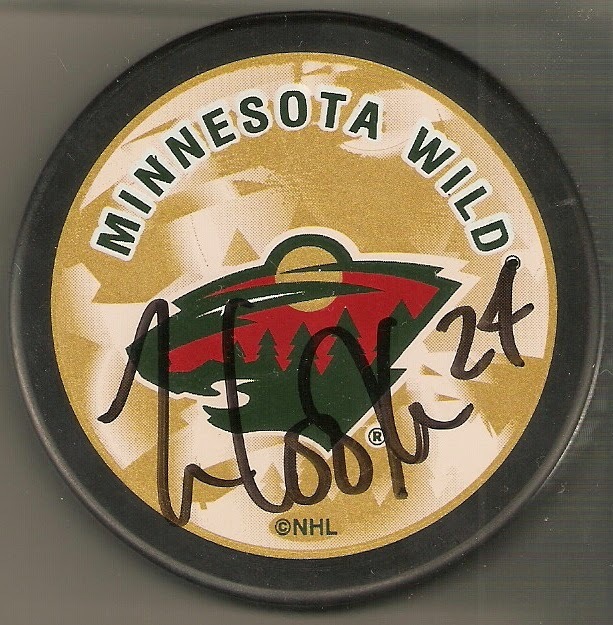 Luckily, I had that particular day off of work, as I was scheduled to work the overnight shift, so I grabbed a couple pucks and a few cards of Cooke and Walz, and headed to the arena. Luckily for those who did not bring their own items, each of the three guests had 5x7 photos from their playing days. 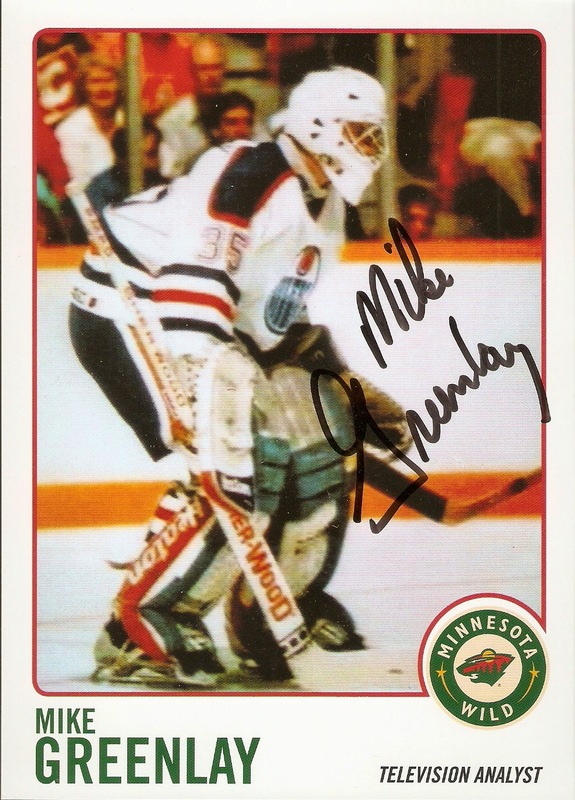 This was great for me, because I had cards of Cooke and Walz, but Greenlay never had an NHL card, as he played only two games for the Edmonton Oilers during the 1989-90 season. 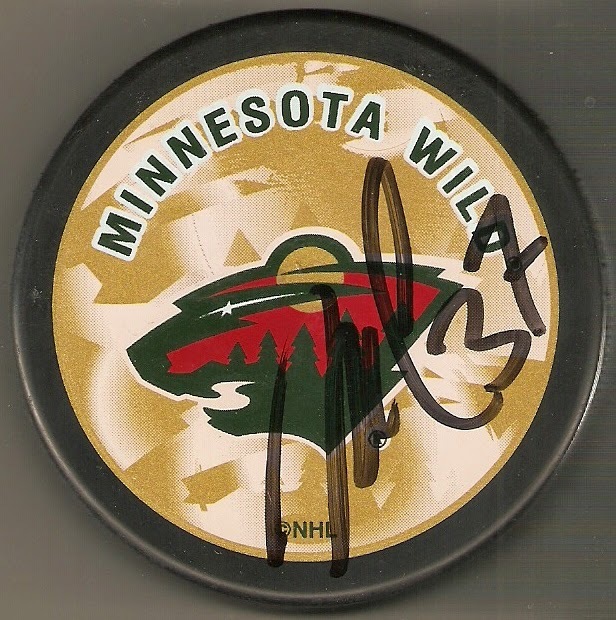 Everyone was really great and was happy to meet all the Wild fans, and signed everything I brought, which was really cool. 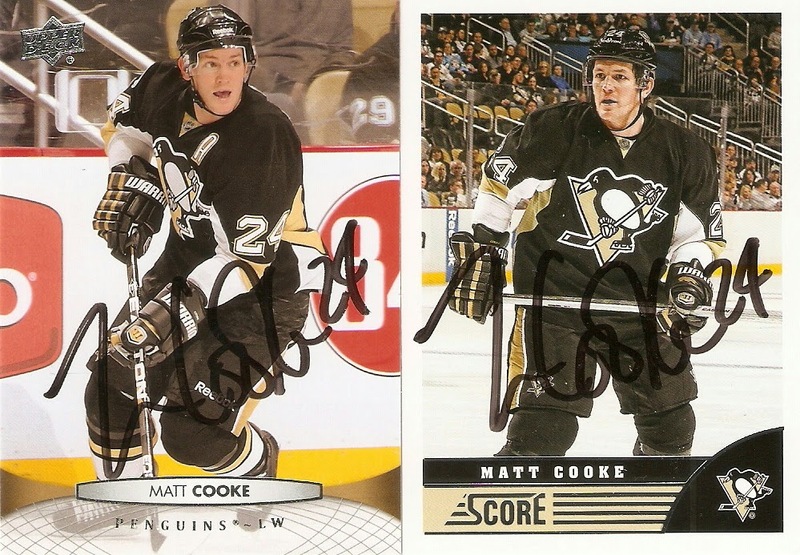 Here's a quick look at these particular autographs that I added to my collection. There were actually three legs of the Road Tour, with these three as Leg 1. 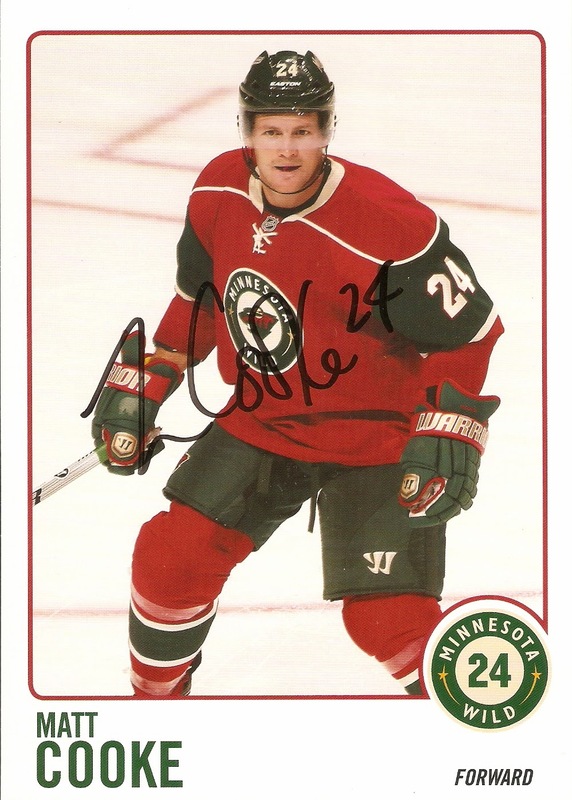 Leg 2 was current Wild players Charlie Coyle and Jason Zucker, as well as former North Star Tom Reid and his radio broadcasting partner Kevin Falness. Leg 3 was current Wild players Erik Haula and Stephane Veilleux, along with former Wild player Antti Laaksonen and FSN broadcaster Anthony LaPanta. My leg was the only one to feature just one current Wild player, but seeing as though it is the one guy who is a former Pittsburgh Penguin, so I'd say I did pretty well.